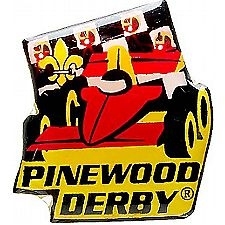 The 2016 District Pinewood Derby has already been held. Congratulations to all the participants on a job well done. Stay turned for information on the 2017 event. Start shaping those blocks of pine -- the Annual Adirondack District Pinewood Derby Championship will be held in Spring 2017 (specific date to be announced)! The District race will take place on a super-fast 4 lane aluminum track with computerized timing and lane assignment. This event is open to all registered Cub Scouts in the Adirondack District, regardless of how they placed in their Pack's race. Cars must be built by Scouts and their families in the current Scouting year. More information will be available as we get closer to the event date.